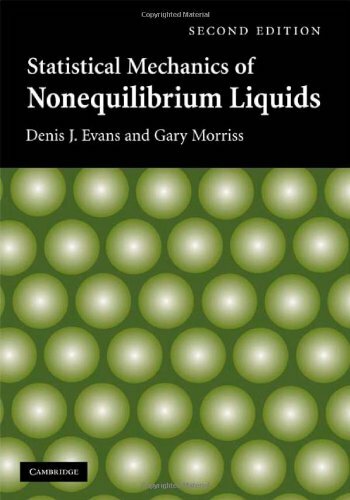 Designed for both researchers in the field and graduate students of physics, this book charts the development and theoretical analysis of molecular dynamics as applied to equilibrium and non-equilibrium systems. It connects molecular dynamics simulation with the mathematical theory to understand non-equilibrium steady states. The author discusses using statistical mechanics to understand real systems, rather than ideal systems that can be solved exactly. In addition dynamics and fluctuations are considered. These notes are an attempt to summarize the main points. Contents: Stochastic variables; Stochastic processes and Markov processes; The master equation; The Langevin equation; Linear response theory, dynamical susceptibilities, and relaxation times; Langevin and Fokker–Planck equations; etc.